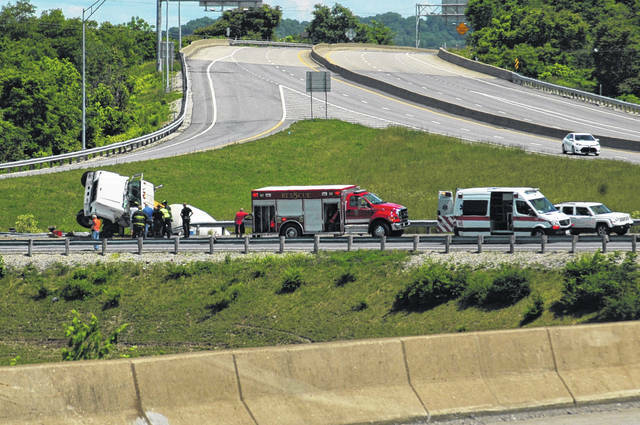 Mason County emergency crews responded to reports of a cement mixing truck overturned on the on ramp to US 35 from W.Va. Route 2 and the Silver Memorial Bridge Tuesday afternoon. According to Mason County emergency radio traffic, initial reports were there were no other vehicles involved and the truck was operated by one male driver. 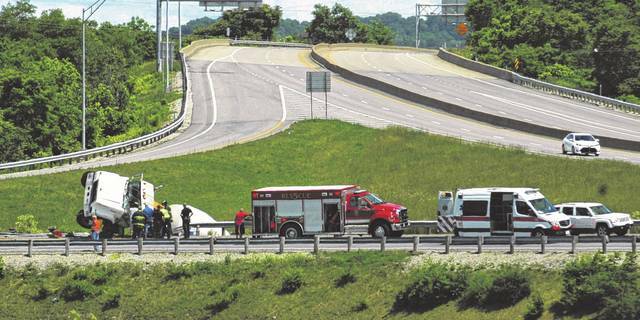 The call was initially dispatched as a vehicle roll over on the Silver Memorial Bridge. Mason County Sheriff Greg Powers reported his department is investigating the accident. No further details had been released as of press time as the investigation was ongoing.